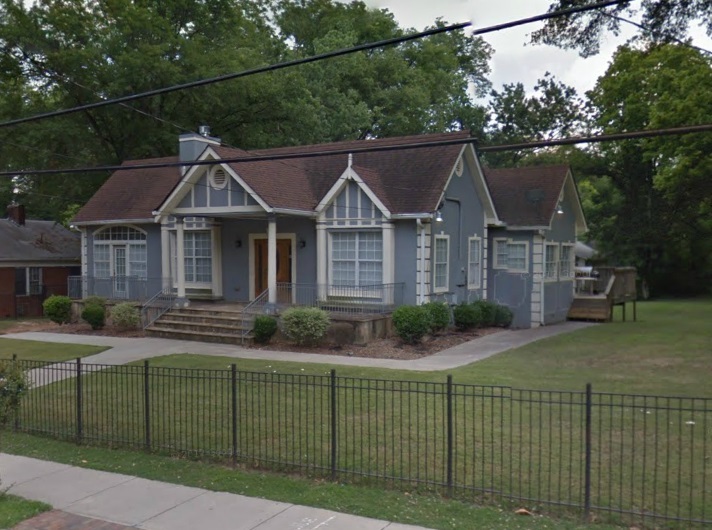 Heman Perry’s “Dream House” was the model home for the new community of West Side Park, now Washington Park, which he developed in the mid-1920s as apart of his vision of furthering the advancement of African-Americans in Atlanta. Arriving here in 1908, Perry launched his first venture, the Standard Life Insurance Company, in 1913. In 1917 he organized the Service Company, an umbrella company for 13 affiliated businesses such as realty, engineering and construction, drug, laundry and printing companies. With four other businessmen, he formed the Citizens Trust Bank, the second black bank in Atlanta, which opened in 1921. Known throughout the Southeast, this single-story stucco home with multiple gables represented new housing possibilities for African-Americans. Rooms included a den, living room, dining room, sun room, bathroom, breakfast room, kitchen, two bedrooms and a wooden back porch. Interior features were high ceilings, independent wiring for each room, hard-wood floors, brick tile floor on the porch with 24-carat gold pieces embedded in the tile surface and separate tub and shower.